Police have made a fresh appeal for parental support to prevent anti-social behaviour in East Antrim. It follows reports of hundreds of young people gathering in Carrickfergus at the weekend. The PSNI stated on Saturday: “Police are dealing with large crowds of youths in the Carrickfergus area engaging in acts of anti-social behaviour that are totally unacceptable. “We are appealing to parents to contact their children and arrange for them to return home immediately. “We are making this appeal before your children become involved in activity that becomes criminal. 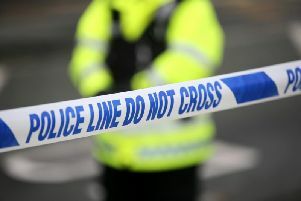 Police have previously documented incidents of anti-social behaviour in the two towns with some of those involved travelling from Newtownabbey and Belfast. Police added: “Of the hundreds of youngsters running rampage around Carrick last night, I refuse to believe that their parents have no knowledge of their movements. When we encounter a young person in a state of inebriation we cannot ignore that.